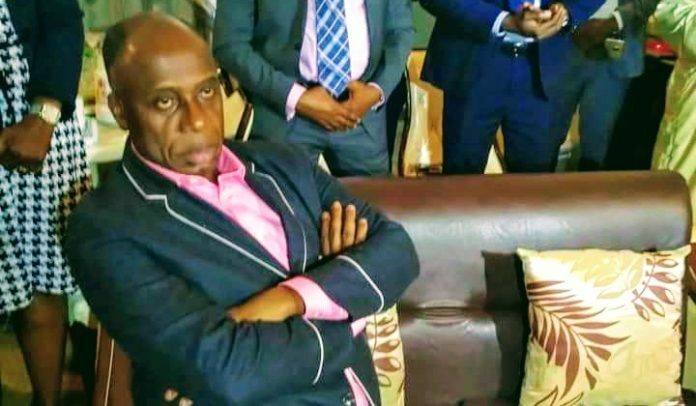 Rivers State Governor, Nyesom Ezenwo Wike has decried the political wickedness being meted out to Ogoni people by the Minister of Transportation, Chibuike Rotimi Amaechi . Speaking during a defection rally for the APC Leader of Ward 18 of Khana Local Government Area at Kpean, Governor Wike said that the sacking of the Ogoni born Executive Director of Finance, Mr Derek Mene is the height of political isolation and marginalization of the Ogoni Ethnic Nationality . He said: “At times, it is good to taste the other side to know who loves you. The Ogoni people have tasted APC and they have seen very high level of neglect and marginalization. “The Minister of Transportation promised you Governorship and denied you that position. Then Ogoni got the position of Executive Director of Finance at NDDC. Even that one, he has collected and given to his boy, Chris Amadi “. He lauded the leaders and people of Ward 18, Khana Local Government Area for their mass defection, which he said is the beginning of great days. The governor said that they will be treated as staunch PDP members who will get all the benefits due party members. Ward 18 Leader, Elder Austin Nwanko said he was back to PDP to assist the party win all positions in the forthcoming elections. He praised the outstanding performance of Governor Wike across Ogoni land, saying he deserves the support of the people.